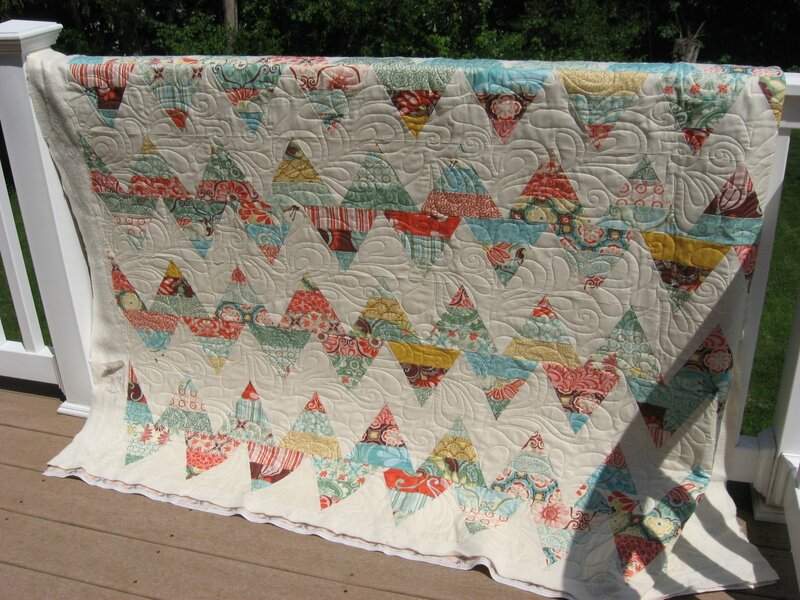 Hooked on Needles: Fandango Zig Zag Quilt ~ Finally Quilted! This past Monday, I finally had the chance to load a quilt onto the long arm machine and quilt my Fandango Zig Zag quilt at last! Finding another quilt shop that offered rental time on a long arm machine took a bit of time, but I finally found Mad About Quilts in Mansfield, Massachusetts. Mary Ann and Dora are the owners and such nice ladies. To save myself rental time, I purchased my own set of zippers so I could pin my quilt backing and top to the zippers before arriving at the shop. 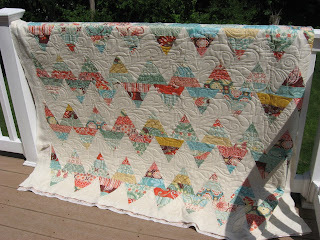 Once there, a few quick zips, rolls, and thread checks and I was on my way to having a beautifully quilted zig zag quilt! It's such a fun way to spend a few hours too! I do love heavy machinery and power tools of all kinds! It still needs binding, but that will have to wait a while. 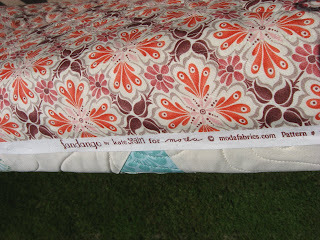 Here's the backing which you can see is also from this same fabric line by Kate Spain. I just love her fabric designs! 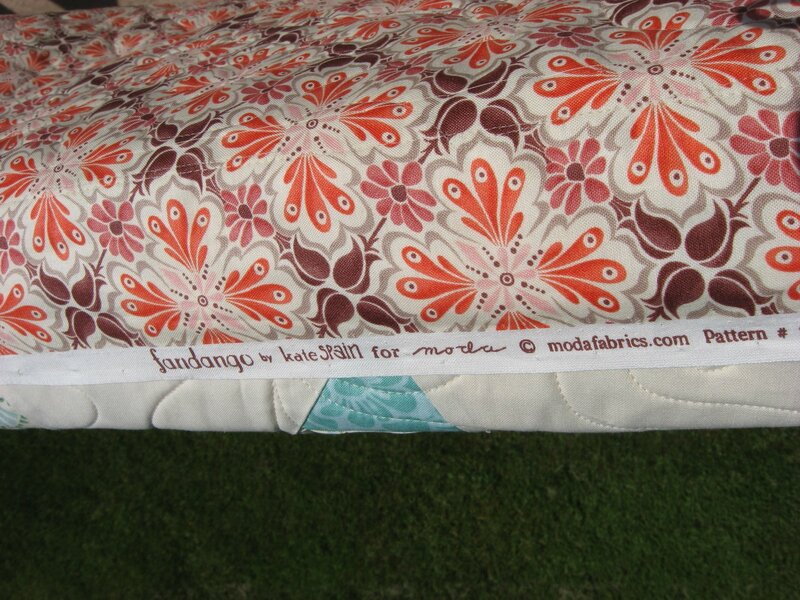 The quilting pattern I used is a pantograph called Tickle, a sort of paisley-ish, swirly, flower petal type of design that seemed to mimic a lot of the elements in the Fandango prints in the quilt. So that's one thing off my list of Things To Do Before Summer Ends. 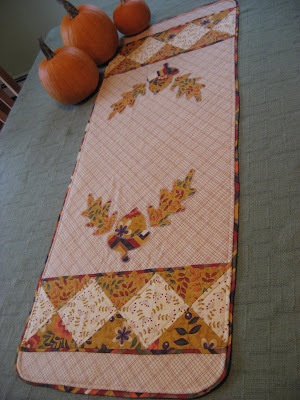 I have several more long arm appointments in the next few weeks before my kids get out of school, so I will be able to get all my other quilts quilted and ready for binding. 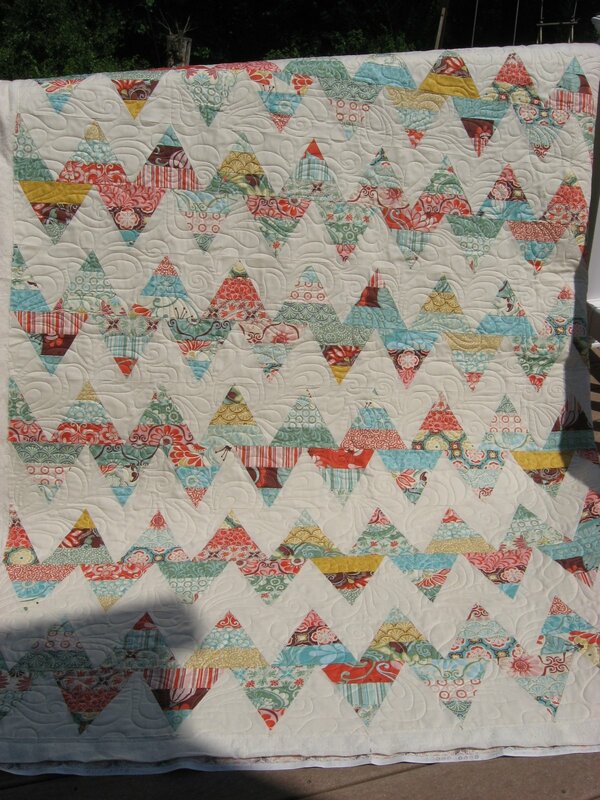 A quilt-along for Rachel Griffith's Impromptu quilt pattern caught my eye recently, so that has also been added to my list. 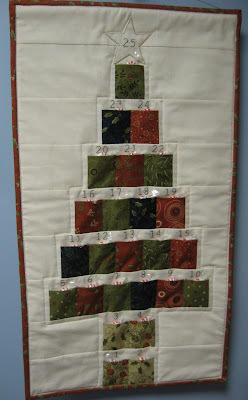 It will be a great way to use up some of my fat quarters and swap squares and end up with another fun and colorful quilt! Any excuse, right? Do you have grand plans for the summer months that include pretty fabrics or luscious yarns? I sure hope so! Looks Good!!! Have a great week. It looks great! 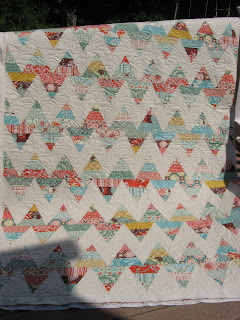 Binding a quilt isn't the most fun thing to do in the summer, is it? I remember when that fabric line came out I wanted every piece. And, your quilt turned out lovely! Nice job!